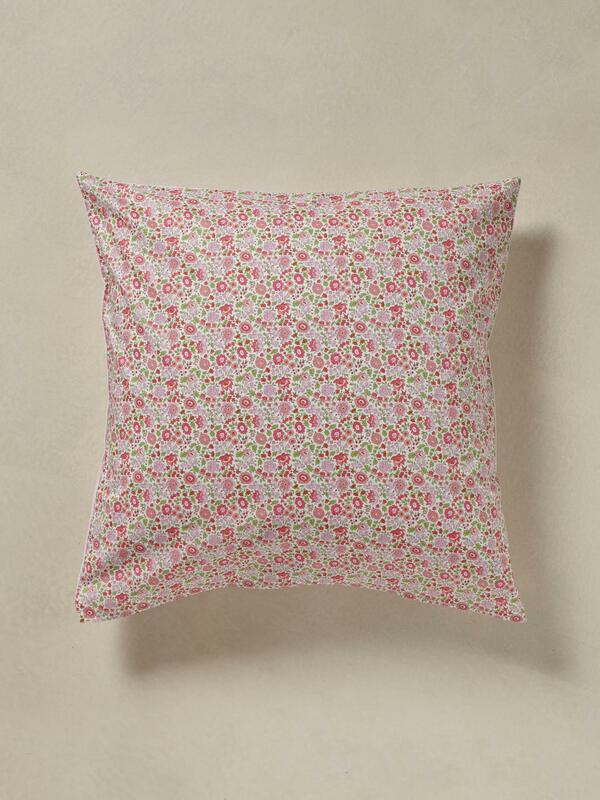 Delicate stripes and Liberty fabric: how can you not fall for the charm of this adorable pillowcase? A Cyrillus design. Different finish depending on the size. 65x65cm: Liberty fabric front, narrow striped back. Envelope style. 50x70cm, 80 x 80 cm : narrow striped front and back, embroidered heart in Liberty fabric. Bourdon stitch finish. 2cm flat frill. Machine washable at 40°C. Made in Portugal. 100% cotton (57 threads/cm2) and 100% Liberty cotton fabric (D'Anjo). Liberty® gets its name from founder Arthur Lasenby Liberty. 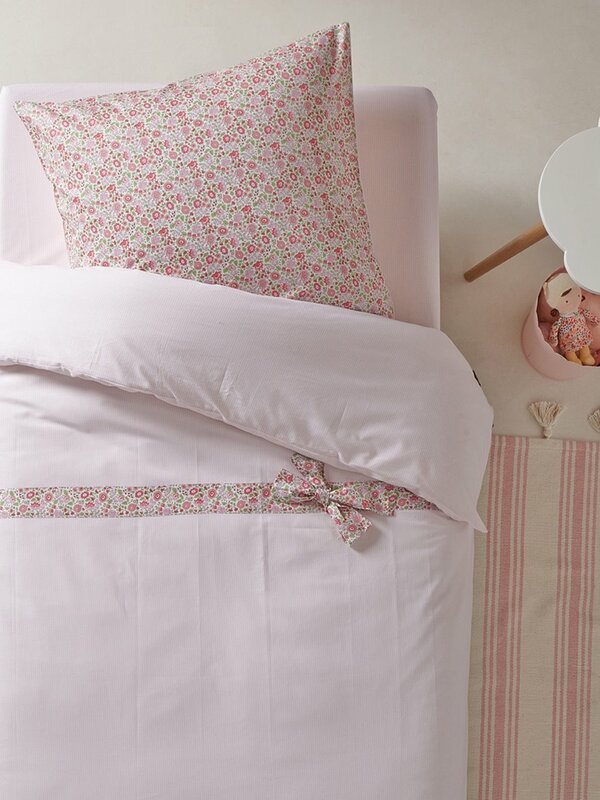 Since 1884, the brand has developed fine, delicate cotton fabrics with unique floral patterns.